Happy Monday, everyone! For this week’s Herb of the Week, I thought I’d tell you more about Melissa officinalis – or, as you might better know it, lemon balm. Lemon balm is full of beneficial uses – I like it so much I put it in my new Citrus Mint Cleanser for Oily Skin! Read on and learn more! 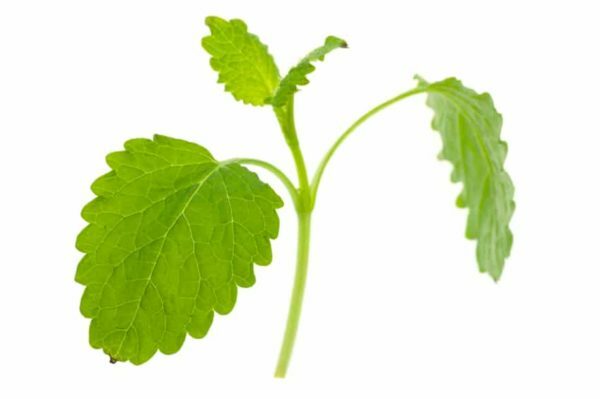 When you’ hear “lemon balm”, you might think it sounds like some kind of paste make out of the rinds of lemons. (That’s what I think, anyways!) In fact, it doesn’t come from lemons at all! Lemon balm is actually a member of the mint family – and it gets its name from its fresh, herbal lemon scent. (The “balm” portion of the name is a reference to balsam, a important sweet-smelling oil of the past.) Records show people have been cultivating and using lemon balm for nearly 2000 years! (Luckily for all those people, it is a hearty herb and super easy to grow!) Aside from its many medicinal benefits, people sometimes plant lemon balm in herb gardens to attract bees. I hope you’re sitting somewhere comfortable, because I know a lot of uses for lemon balm! I chose to use it in my Citrus Mint cleanser because of its cleansing properties. However, those are just the tip of the iceberg! Because it’s been in use for over 2000 years, people have found many uses for this multipurpose herb. Lemon balm has a calming affect, and is given to people to help ease their mind and promote more restful sleep. There are also studies that indicate lemon balm has an uplifting affect on mood and mental performance. Next time you need a clear mind, try a cup of lemon balm tea! I’ve also heard of lemon balm, when taken internally, being used to treat indigestion, as a mosquito/insect repellent, a fever reducer (by encouraging sweating), a natural way to regulate your menstrual cycle, to treat headaches – some even think that regular ingestion could prolong your life expectancy! It’s amazing what the Earth provides for us, isn’t it? Do you have any herbs growing in your garden that you use medicinally?